Ask fellow campers about "Live Oak Campground (Ronald W. Caspers Wilderness Park)" and nearby attractions. Ronald Caspers Wildlife Preserve Campground - San Juan Capistrano, California. This park features RV sites with some hook ups all the way to primitive with no hook ups. We had a site with water and electric (50 amp). The site was just big enough to fit our motor home and tow parked beside. They charge you an additional $5 a day for the tow. You get a lot of road noise from the highway that runs beside the park. For some unknown reason they have placed large pilings around all the sites. If these were not at the back of the site, you could allow the rear of your rig to hang off, giving you more room. The sites are gravel and fairly level. The dump station was plugged and overflowing when we left, so could not dump. I probably would not stay here again if in the area. We camped at Live Oak Campground (Ronald W. Caspers Wilderness Park) in a Motorhome. This is a very reasonable and clean park especially for this part of California. Provides for easy access to San Clemente, Laguna, and connected areas. The park staff was friendly and helpful. The sites were large and included power and water, no septic. We were in a 37 foot Class A with tow and tow dolly and had plenty of room, back in site. Over the air television is adequate but there is NO WIFI at all. Cellphone coverage was good 80 dBm or better, AT&T. We were visiting family so did not use many of the park's amenities but there is trails and sponsored activities available. This is a local county park so is frequented by locals for weekends. 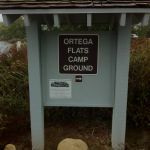 We were in Ortega Flats which is kind of close to the main road, Ortega highway. This road is pretty well used, especially by the local motorcyclist as it is very curvy and hilly and they love to race up and down the road. All in all would stay there again but there is one really big caution. This park is unusual as it has a pretty strict pet policy. The policy is NO PETS. Pretty unusual in my experience. They justify this by saying there is a danger of pets attracting cougars that are in the area. I guess I can understand this with dogs or animals that are allowed out of owners RV's but animals that are never allowed out it seems a bit restrictive. If you miss this in their information you could be sadly surprised. Since we had traveled all the way from Florida and prepaid we were given an exemption. We have camped all over the country including cougar country before. Never seen this strict of a rule before. We camped at Live Oak Campground (Ronald W. Caspers Wilderness Park) in a Motorhome. Be sure you're aware that no dogs are allowed here! Several campers were turned away at the gate. Only a small number of sites have electric, and that loop does not have restrooms, only a porta-potty. The restrooms are about 10-15 blocks away, in the larger, non-electric loop. Also a bit uncommon is that the electric sites do not have water hookups. Other than that, it was a pleasant park to spend a few days in. We camped at Live Oak Campground (Ronald W. Caspers Wilderness Park) in a Motorhome. My husband and I were going to stay here based on this site said "pets OK", but if you go to the website for the campground it specifically says "pets prohibited" except horses! So beware if you travel with a pet, so we could not stay here and never did. I have passed by here several times and it looks beautiful. We camped at Live Oak Campground (Ronald W. Caspers Wilderness Park) in a Motorhome. 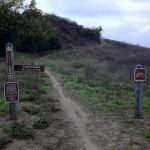 For a regional park in Orange County, this is an excellent place for local camping. There are some areas of the Live Oak campground I would be hesitant to drive or tow a large rig though due to the low lying branches of the live oak trees. There are so many hiking trails to choose from. 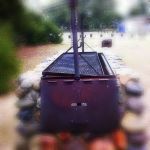 There is another campground, Ortega Flats which is located within this same park which is much more acceptable to large rigs and has electrical hook-ups some with 30 and some with 50 amps for an additional $6.00 per night. It is only a very short drive to San Juan Capistrano and the coast. We camped at Live Oak Campground (Ronald W. Caspers Wilderness Park) in a Travel Trailer. My wife and I stayed there in the Ortega Flats campground. It was pretty much clean and well kept. There are miles and miles of hiking trails, but we are retired and didn't do much of that. What was best was the peace and quiet and the surrounding green hills. A wonderful place to just relax. We caught the Saturday night program by accident, and after hearing Ranger Joeseph's heart felt song about the animals, I will never leave a piece of trash on the floor again. We camped at Live Oak Campground (Ronald W. Caspers Wilderness Park) in a Motorhome. It is about a 20 minute drive to the PCH and surrounded by forest, this campground is incredibly isolated. During the week, there were just a couple of campsites occupied, but the weekend was completely full. It is a pretty decent campground with few amenities. We camped at Live Oak Campground (Ronald W. Caspers Wilderness Park) in a Motorhome. Very nice county park. We camped at Live Oak Campground (Ronald W. Caspers Wilderness Park) in a Travel Trailer. 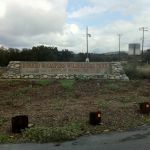 Are you affiliated with Live Oak Campground (Ronald W. Caspers Wilderness Park) ?